Each transformer and each situation is different, requiring its own unique approach and tests. Determining the existing condition of power transformers is an essential step in analyzing the risk of failure. The following is a summary of testing and diagnostic techniques, and tools used to assess the condition of transformers. 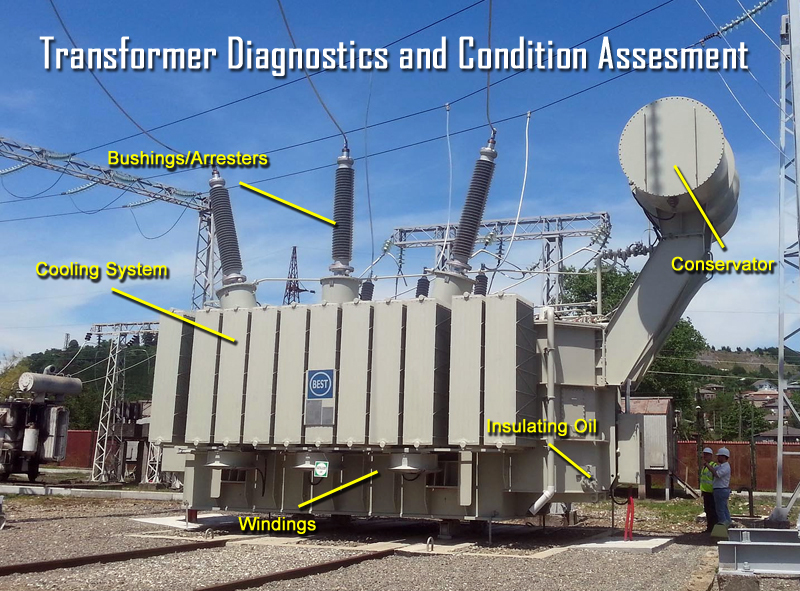 A transformer maintenance program must be based on thorough routine inspections. These inspections must take place in addition to normal daily/weekly data gathering trips to check oil levels and temperatures. 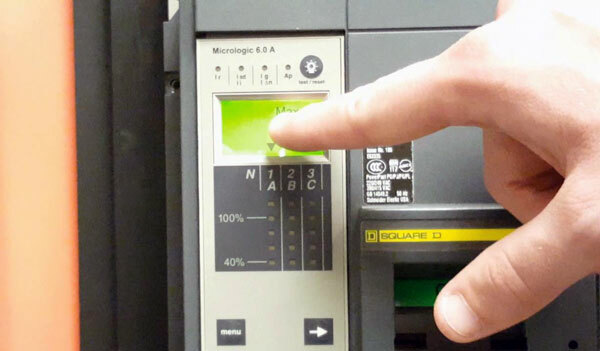 Some monitoring may be done remotely using supervisory control and data acquisition (SCADA) systems, but this can never substitute for thorough inspections performed by qualified electrical maintenance personnel. Not all of the listed tests are performed at the factory, and not all of them are performed in the field. 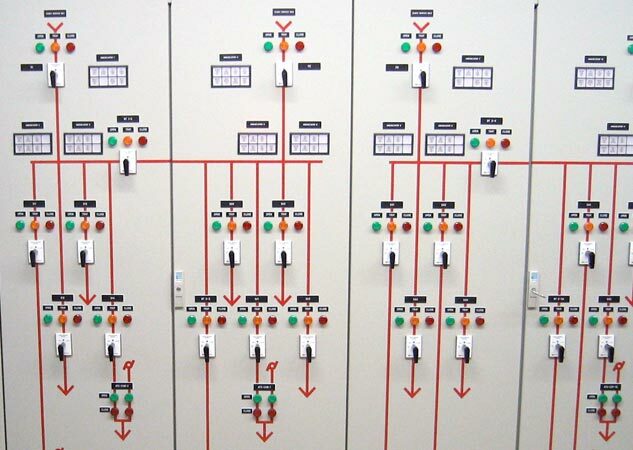 Each transformer construction and application is different, requiring its own unique approach and test plan. A DGA is the first indicator of a problem and can identify deteriorating insulation and oil, overheating, hot spots, partial discharge, and arcing. This is, by far, the most important tool for determining the health of a transformer. The DGA test measures dissolved gases in the transformer oil and is capable of detecting: arcing, bad electrical contacts, hot spots, partial discharges, overheating of conductors, oil, tank, and cellulose (paper insulation) degradation. Samples are generally sent to a laboratory for analysis but portable equipment is available to perform the test in the field. In addition to the DGA test, additional oil samples can be taken to detect moisture, interfacial tension, acidity, furans, dissolved metals, and metal particle count (indicates pump problems). Samples are usually sent to a laboratory for transformer oil analysis. bushing and lightning arrester porcelain cracks, etc. 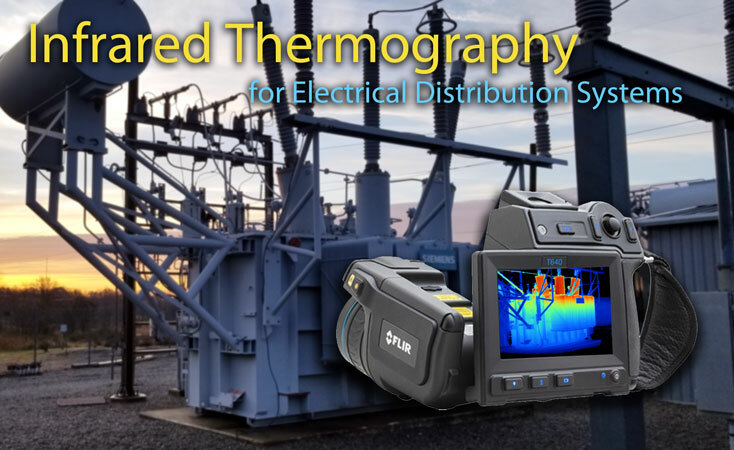 In addition to visual inspections, a thermographic camera can be used to quickly detect hot spots, localized heating, bad connections, circulating currents, blocked cooling, tap changer problems, bushing and lightning arrester problems. 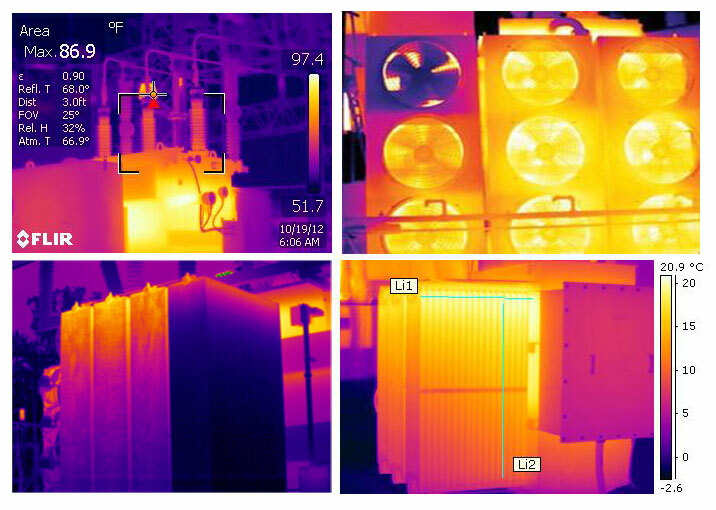 Infrared scans are extremely effective in detecting problems that can lead to early failure in transformers. A fault detector equipped with a data logger can be used to detect internal partial discharge, arcing, sparking, pump impeller and bearing problems. This test is also useful in pinpointing mechanical noises and loose parts (blocking, deflectors, etc.). Care should be taken because this method requires contact with the transformer while energized. Non-contact ultrasonic detectors can be used to easily detect nitrogen leaks, vacuum leaks, corona at bushings, pump mechanical and bearing problems, cooling fan problems. Data loggers equipped with accelerometers can be used to detect internal core vibration, shield problems, and loose parts. Portable temperature data loggers and software can be used to monitor temperature changes with variations in load and ambient temperature. Measure internal and external noises using a sound level meter and compare to baseline readings and other vibration tests. Corona (air ionization) may be visible at the tops of bushings at twilight or night, especially during periods of rain, mist, fog, or high humidity. Use a corona scope to compare bushings and surge arresters, and all other high-voltage connections with sister units. A good indication of insulation deterioration is a slowly rising power factor. Doble insulation testing is an important step in determining the condition of the transformer because it can detect loss of winding insulation integrity, loss of bushing insulation integrity, and winding moisture. To keep failures at a minimum, periodic maintenance testing of the insulation is recommended to indicate whether it is deteriorating, and how fast. 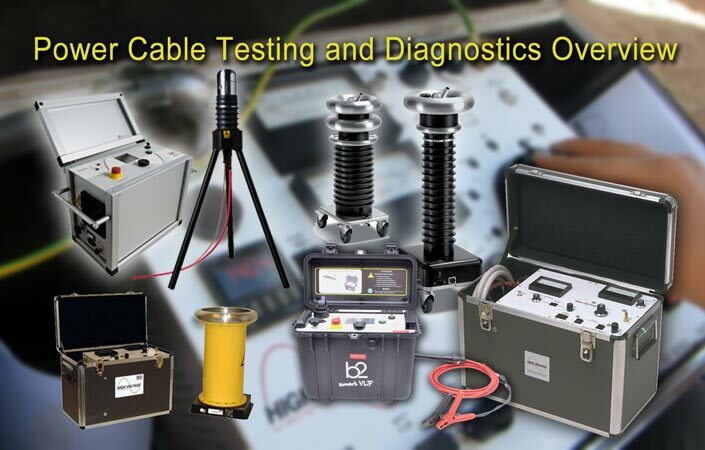 Doble test equipment is also used to conduct excitation current tests, which can detect short-circuited turns, poor electrical connections, core de-laminations, core lamination shorts, tap changer problems, and other possible core and winding problems. The results, as with all others, should be compared with factory and prior field tests. The turns ratio test detects shorted turns, which indicate insulation failure by determining if the correct turns ratio exists. Shorted turns may result from short circuits or dielectric (insulation) failures. 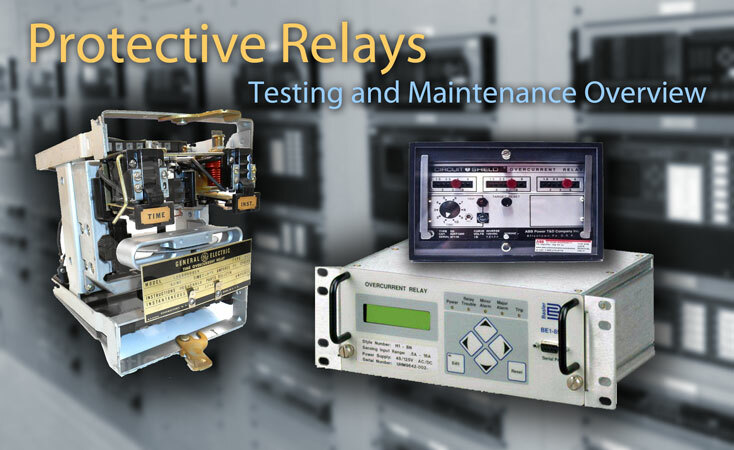 This test only needs to be performed if a problem is suspected from the DGA, power factor testing, or a protective relay operation. This test can be performed using a turns ratio tester or by applying a reduced test voltage to the secondary and measuring the induced voltage on the primary. 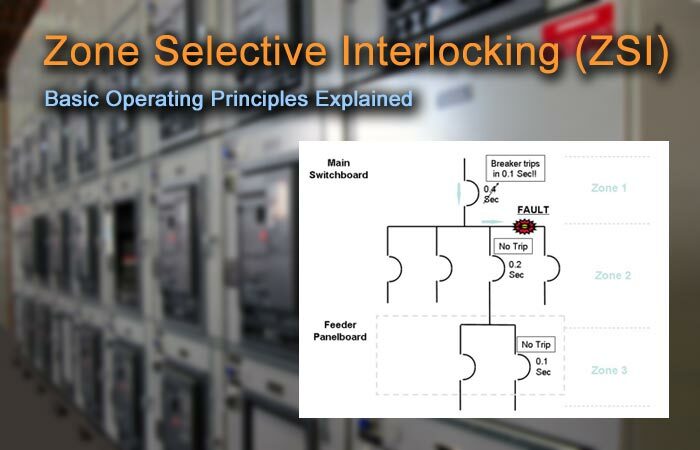 This test can also verify that the winding polarity is correct. 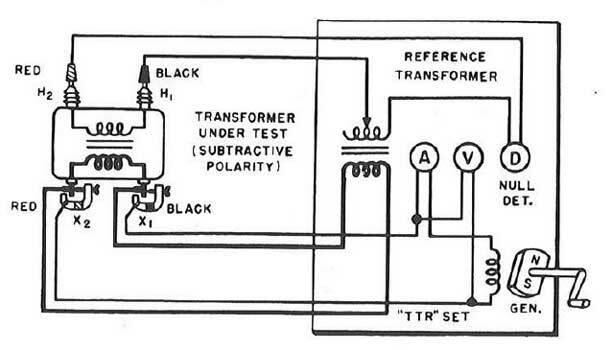 When testing a transformer for turns ratio, the connections is determined by matching parallel vectors. Photo: Megger. This is normally an acceptance test to see that nameplate percent impedance matches with the measured percent impedance when the transformer arrives from the factory. 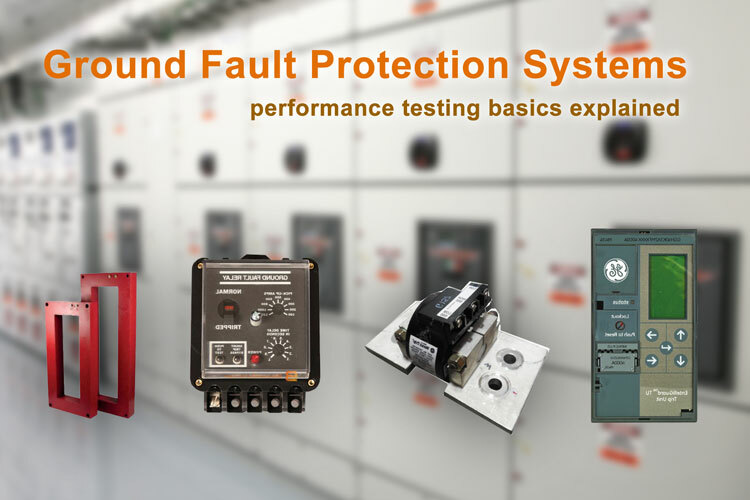 Percent impedance/leakage reactance testing is performed by short circuiting the low-voltage winding and applying a test voltage to the high-voltage winding using a power factor test set. 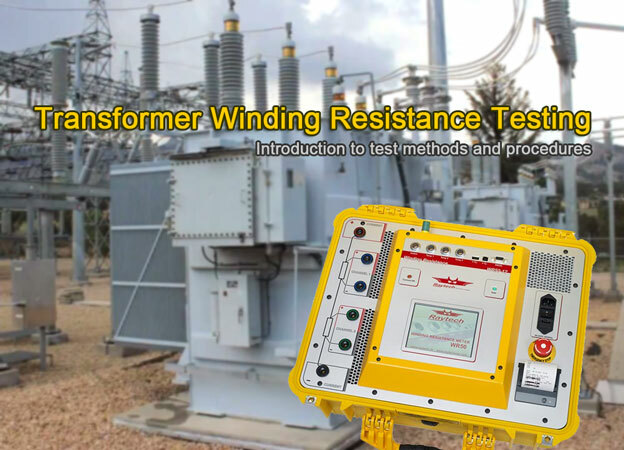 These tests show, in trace form, the winding transfer function of the transformer and are valuable to determine if any damage has occurred during shipping or during a through fault. Structural problems, movement of core and windings, core grounds, core displacement, and other core and winding problems can be revealed by this test. A sweep frequency analyzer is used to place a signal on each of the high voltage windings, and the signal is detected on the low-voltage windings. This provides a picture of the frequency transfer function of the windings. If the windings have been displaced or shifted, test results will differ markedly from prior tests. 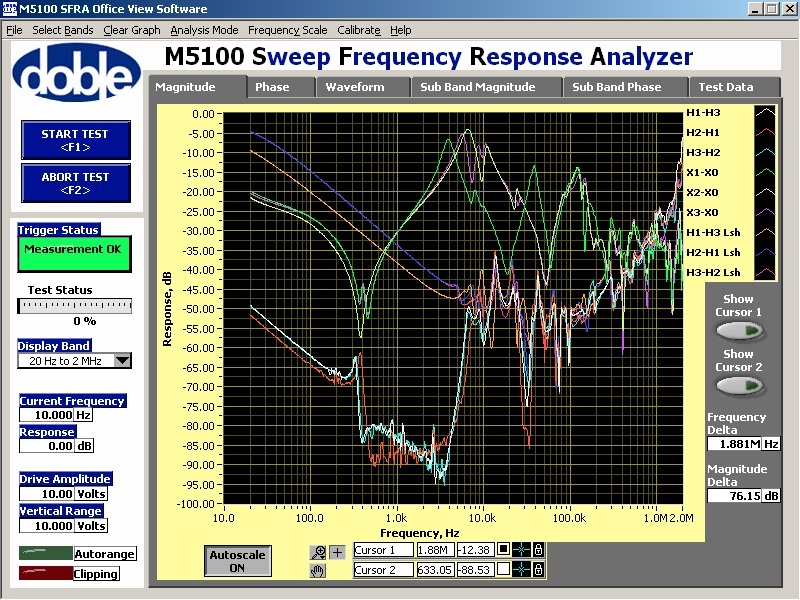 Sweep Frequency Response Analysis detects structural problems, movement of core and windings. A Wheatstone or kelvin bridge can be used to check for loose connections on bushings or tap changers, broken strands, and high contact resistance in tap changers. 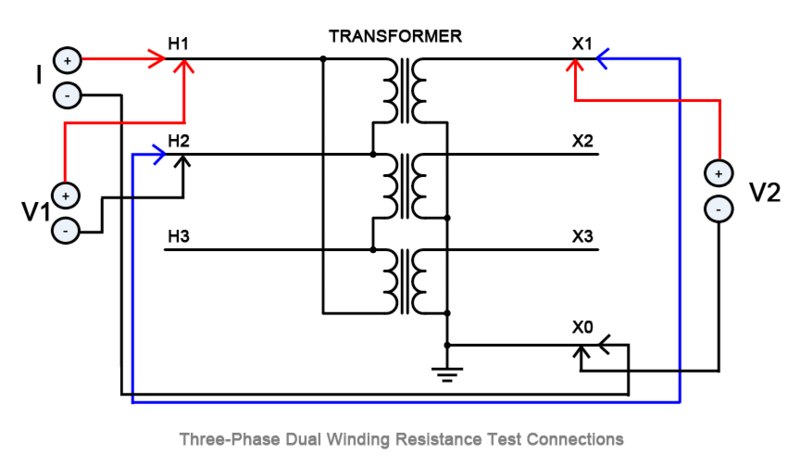 Results are compared to other phases in wye-connected transformers or between pairs of terminals on a delta-connected winding to determine if a resistance is too high. 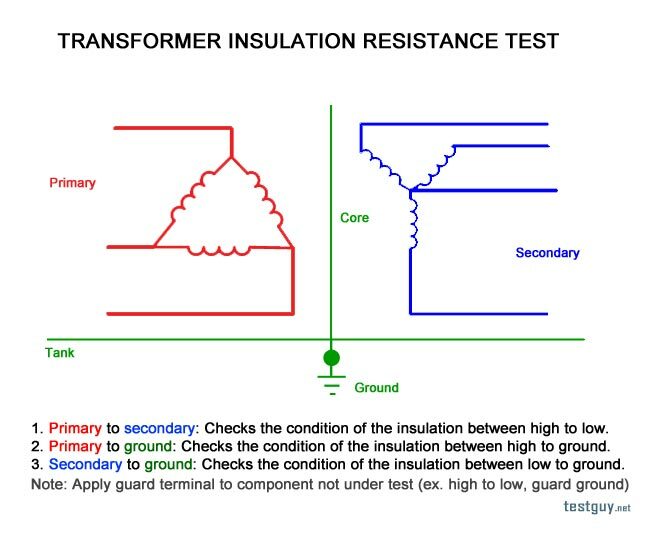 Sample transformer insulation resistance test procedure. Photo: TestGuy. It is recommended that insulation resistance values be measured periodically (during maintenance shutdown) and plotted. Substantial variations in the plotted insulation resistance values should be investigated for cause. 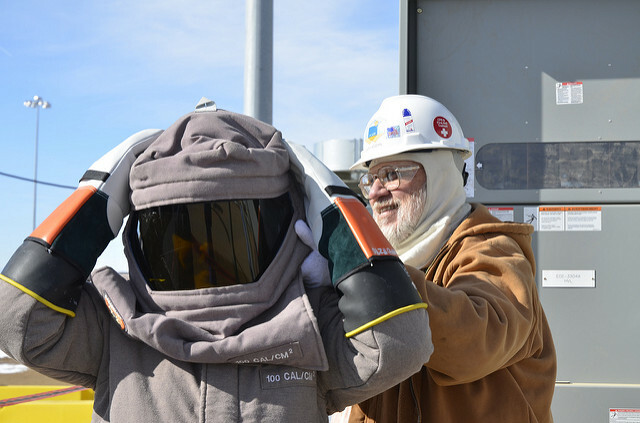 The polarization index is a ratio of the Insulation resistance at the end of a 10 minute test to that at the end of a 1 minute test at a constant voltage. As a general rule of thumb, values less than 1 are dangerous; 1.1 - 1.25 is Questionable; 1.25 - 2.0 is Fair; and anything above 2.0 is considered good. 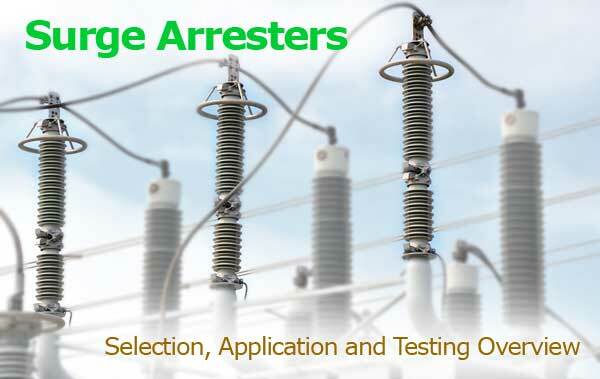 Recommended test values for transformer insulation resistance and PI testing. This test is used if an unintentional core ground is suspected, as may be indicated by the DGA test. A megohmetter is attached between the core ground lead (or the top of the core itself and the tank) and ground. The Megger is used to place a dc voltage between these points, and the resistance is measured. The intentional core ground must be disconnected to perform this test. Some may find this to be difficult, and some oil might have to be drained to accomplish this. 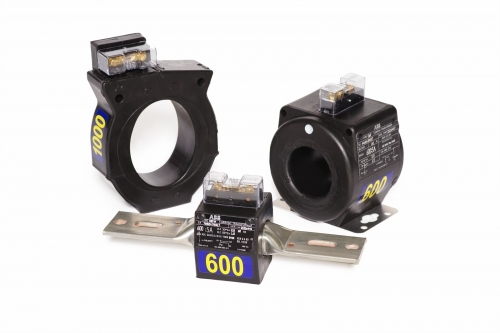 On some transformers, core ground conductors are brought outside through insulated bushings and are easily accessed. A new transformer should read greater than 1,000 megohms. A service-aged transformer should read greater than 100 megohms. Ten to one-hundred megohms is indicative of deteriorating insulation between the core and ground. Less than 10 megohms is sufficient to cause destructive circulating currents and must be further investigated. The interior construction of the transformer can be inspected for oil sludging, displaced winding or wedging, loose windings, bad connections, and burned conductors. Many times, more damage is done by opening a transformer and doing an internal inspection than what is gained. If an internal inspection is absolutely necessary, it must be completed by an experienced technician who knows exactly what to look for and where to look. One of the most dependable means of determining paper deterioration and remaining life is the DP test of the cellulose. Do not open a transformer for the sole purpose of doing this test. Perform this test only if the unit is being opened for other reasons. When conducting an internal inspection, or if the transformer is opened and oil is fully or partially drained for any reason on a service-aged transformer, perform a DP test by removing a sample of the paper insulation about 1 centimeter square from a convenient location near the top of the center phase with a pair of tweezers. Send this sample to an oil testing laboratory for an analysis.